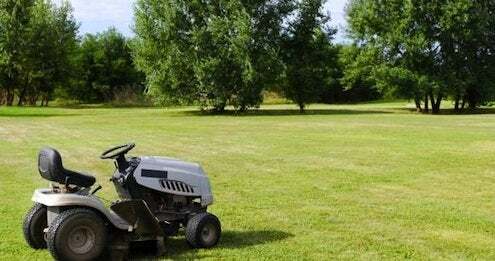 Should You Buy a Used Riding Mower? When we moved from New York City to a beach town in Southern, DE, we suddenly went from having zero lawn to caring for a full half acre. We were incredibly grateful to have a good lawn mower passed down to us from my parents. It’s a walk-behind model, so we imagined we’d get our workouts in on the weekends using it. And we did! I actually enjoy mowing the grass, but it took us three hours to do it. We decided a riding mower was in order, and the sooner the better. But it wasn’t exactly in our summer budget. So we began researching used riding mowers. 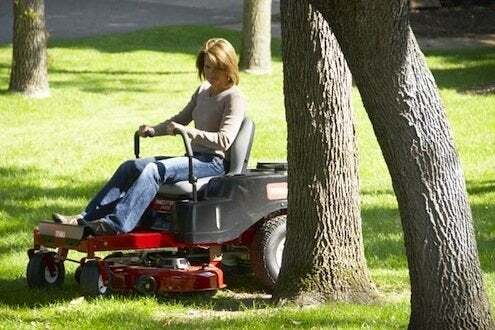 – When was the mower purchased? – How often was it used? – Why is it being sold? – Have the purchase/maintenance receipts and user manuals been kept? – The engine starts within a few seconds on the first try. – The brakes are working. – It doesn’t smoke or stall. We ended up with a 2006 Cub Cadet with a 46-inch mowing deck and less than 100 hours on it. We purchased it from the gentleman who sold us our house, so we already had a good professional relationship with him and knew he was someone we could trust. He had taken impeccably good care of the machine and had all of the purchase/maintenance receipts, user manuals, and maintenance logs to give us. The last time we mowed the lawn, my husband and I accomplished all of the mowing, weed whacking, and clip blowing in 1 hour and 15 minutes! That’s way less time than it took just to mow the lawn with our walk-behind model. If you multiply that by the number of mowings per year we expect to do, that’s 50 hours of summer we get back! Woo-hoo, let’s hit the beach!